A successful career move involves people matching their ideas, passions and goals to the needs of employers and vice versa. 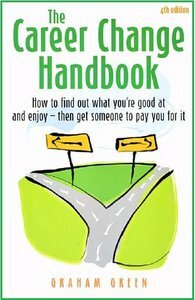 Full of practical examples of what works and what doesn't in the world of work, this book explains what employers need and how you can place yourself to deliver it. Whether you are looking for a new career or want to move to a different job, here you will find out how to know yourself, identify what you have to sell, structure your job search, target your CV, network successfully, respond to advertisements, conduct interviews and get the best out of agencies. Plenty of sample letters and CVs, exercises and useful addresses will make sure that your next career move is a move in the right direction. Graham Greene worked in the travel industry before he moved on to international marketing and general management roles in industry and commerce. Redundancy opened another door - into careers counselling - where he has worked for over 15 years.